Caprese salad. 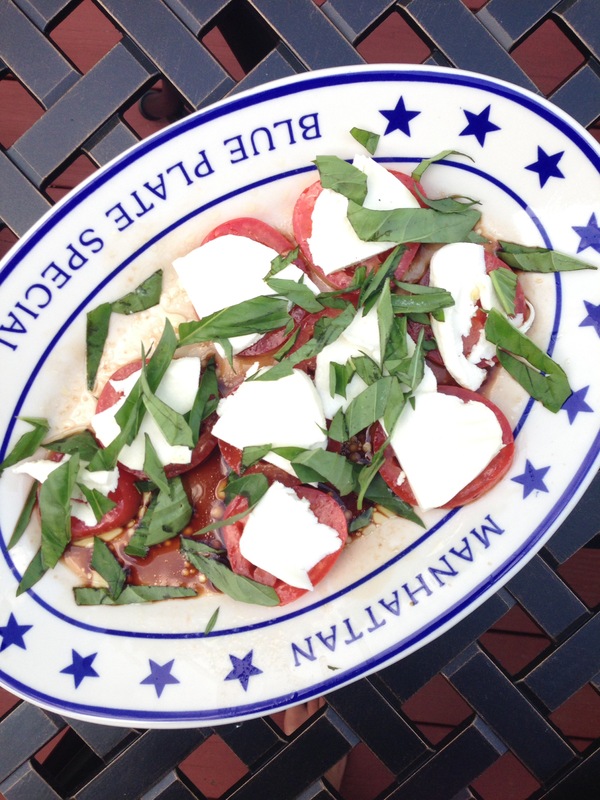 One of my favorite summer sides! Made this a few times! Blueberry pancakes. Made from a mix; sorry no recipe. But I did just go blueberry picking, so stay tuned for some yummie blueberry treats! 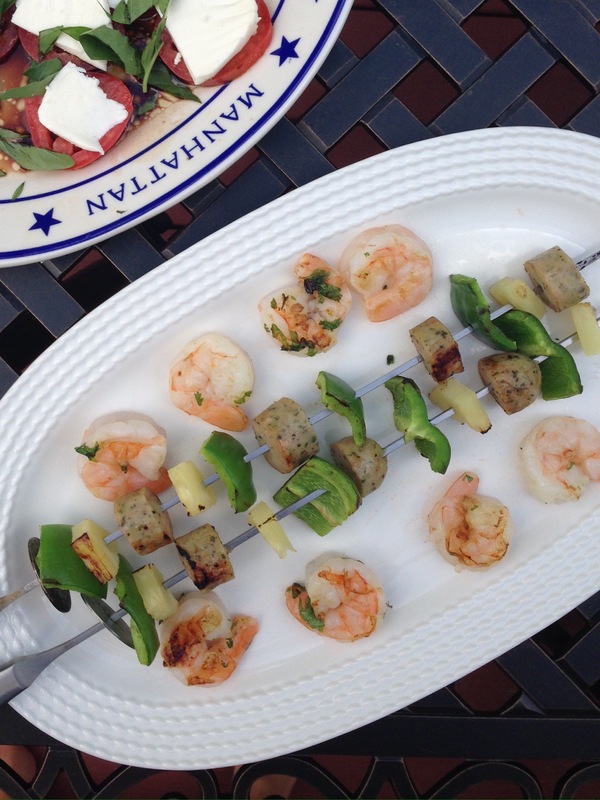 Grilled cilantro, lime shrimp skewers. Season uncooked shrimp with chopped cilantro, lime juice, and salt. Place on skewers and grill 2-3 minutes/side. Note: if using wood skewers, soak in water for 30 minutes first. Bread and butter pickles. My favorite in the summer! I had planned to make a lemon aioli sauce, but dinner plans changed, so I’m going to save it for next week. 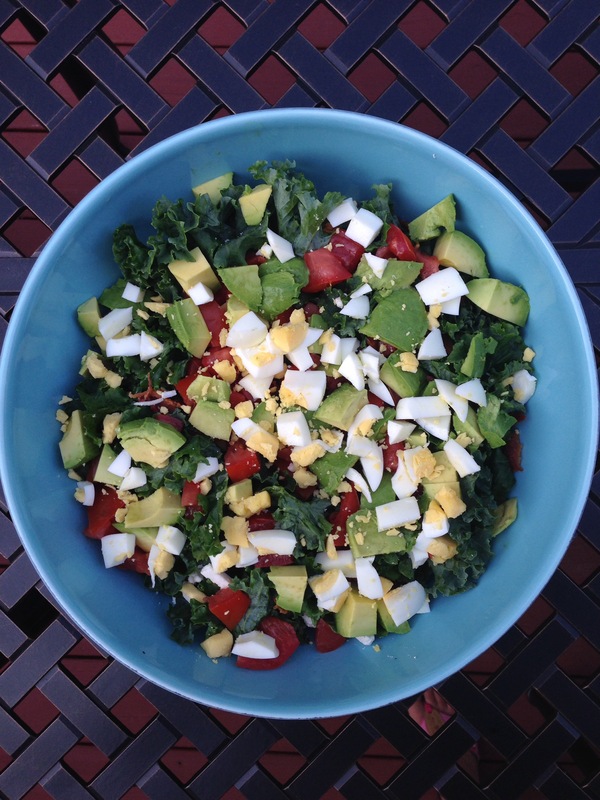 Cobb salad. 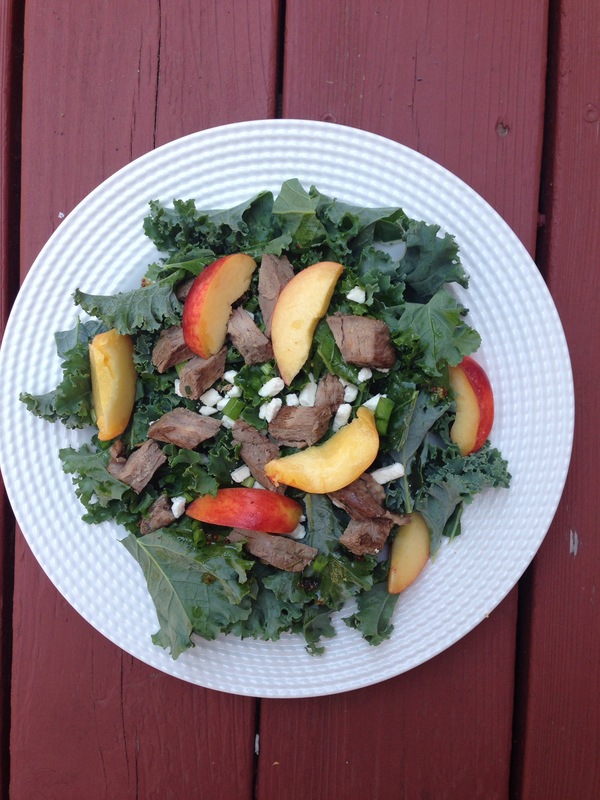 I love doing this recipe in the summer; it’s very easy and requires very little cooking. I used lettuce and kale in order to make enough for two. Steak with Summer Vegetables. 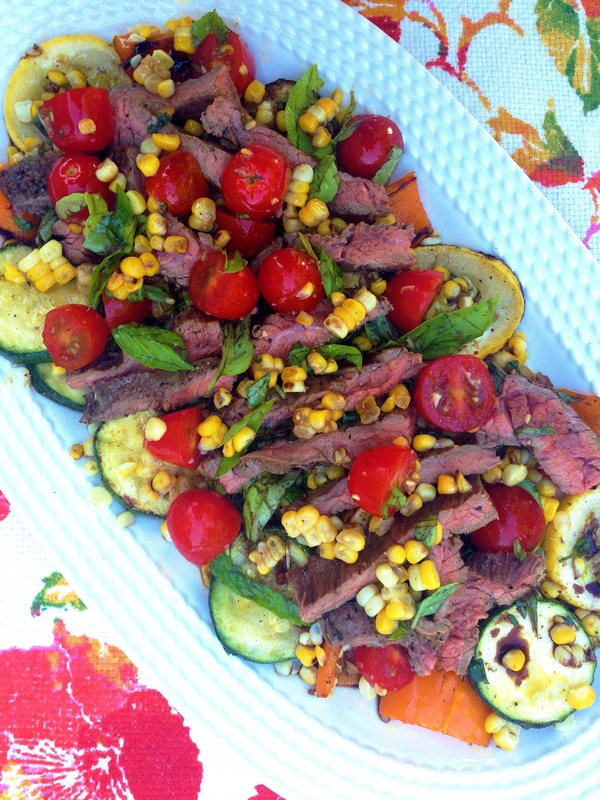 A perfect summer meal and a great way to use up left over vegetables!